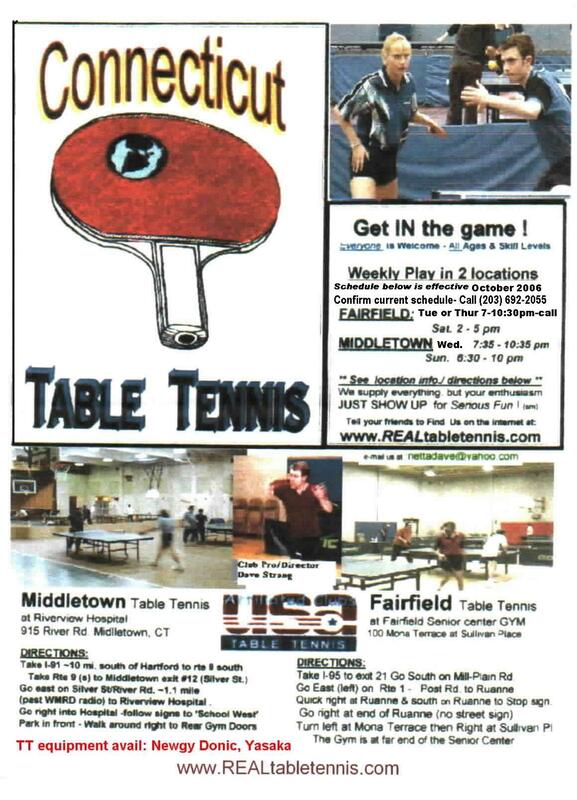 WELCOME to the CT.TT A - Fairfield (CT.) TTC page ! call anytime - 24/7 for regular schedule info by recorded messages. Changes in our club schedule are rare, but should the schedule number be unavailable , and you must confirm there aren't any changes, call or text my cell phone @ (203)525-6l94 PM HOURS ONLY and leave a message & your name & town. Call (or text) my cell phone at (2O3) 525-6l94 (only) on the scheduled playing day (or if for info NOT available here - e-mail preferred). Take I-95 to Exit 21. Go south on Mill Plain, then East (left) on Rte.1 / Post Rd. Then take a quick Right (south) at Ruanne from Post Rd. Then Turn left at Mona Terrace and right at Sullivan Place into Sr. Ctr. 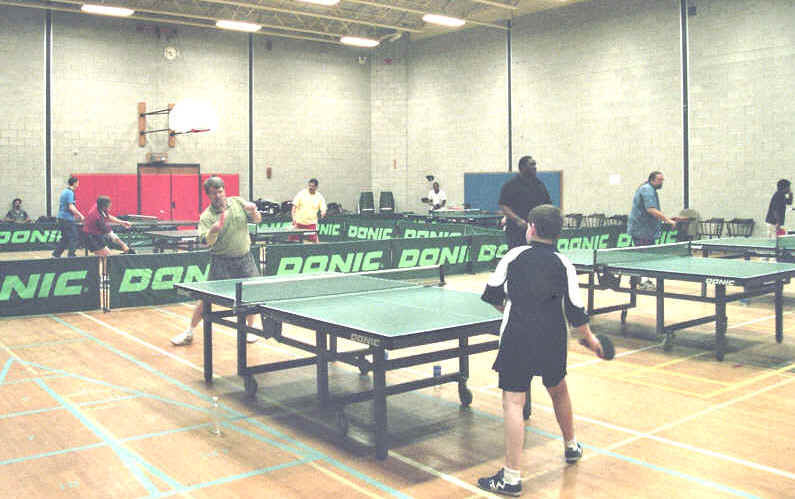 REMEMBER WE WELCOME ALL AGES and SKILL LEVELS -Male or Female- for play on 8 'Pro' tables in a large well lit Gym. * Bring your enthusiasm (and $10 -per player per visit ) & we'll supply everything else !